"You Dream It, We Design It, Together We Watch It Grow"
Proper drainage is important to protect your yard and foundation. 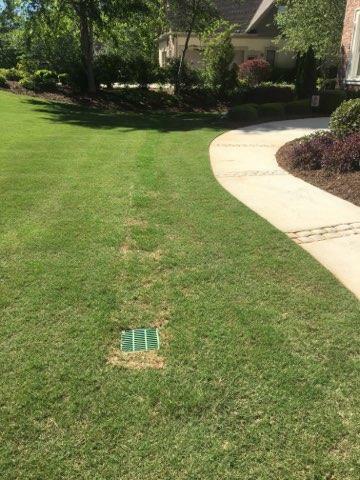 Ensuring proper drainage also protects your yard from mosquitos breeding in the stagnant water. Mulch that washes away from your plant beds or silt or soil that washes onto sidewalks during rainstorms. 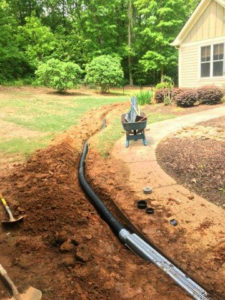 French drain, are most commonly used to collect and vent water. The drain is a ditch that contains perforated pipe set in gravel. Drain boxes are used to collect surface runoff. Channel drains are best for driveways, sidewalks, and patios. Copyright © 2019 Howell Landscaping of Georgia. Powered by WordPress. Theme: Accelerate by ThemeGrill.